Rationalist Judaism: A Mezuzah Miracle? Here's a really freaky story. Four girls in my niece's class broke their hands or arms in the last ten days. The teacher decided to have a sofer check the mezuzah of the classroom. He checked it, and saw that the letter yud in ידך was missing! They announced this in a WhatsApp group to the parents... and then, later that day, before the mezuzah had yet been replaced, my niece broke her hand! But then I gave it some more thought. If this is indeed a case of the consequences of a flaw in the mezuza's protection, then what exactly does it mean? If the letter yud was never written in the first place, then why would it suddenly much later cause an effect? So did it suddenly degrade from the parchment? And if such a flaw in the mezuzah did exist, who is halachically responsible - and who deserves Divine recompense? Surely not the little girls? Then we need to think about how this might have gone down. I've heard first-hand stories of collectors taking advantage of people by examining their mezuzos and revealing information about them that "they couldn't have possibly known about in any other way." Of course, they could have known this information in the same way that any mentalist does so - via a psychological trick known as cold reading, possibly in combination with actual background research. Then it can be linked to the mezuzah by knowing all kinds of different permutations and halachic subtleties regarding the precise form of the letters. When my niece's teacher took the mezuzah to be checked, she probably told the sofer that she was bringing it because several girls injured their hands. It would have been easy for the person to find a way of demonstrating a flaw with the word yadecha - perhaps even to scratch it out. (And consider that if this teacher went to have the mezuzah checked, then she is clearly of a particular worldview. Such people are often attracted to self-styled "miracle workers" and "holy men" who are less than scrupulously honest.) Or maybe the sofer, or the teacher, saw this as an opportunity to teach a lesson in emunah by fabricating the flaw. Is this a likely scenario? It's impossible to quantify the likelihood of it. But the question is, how likely is it vis-a-vis the alternative? It would still leave the coincidence that my niece broke her hand after this took place. But that's not a quantitatively greater coincidence than several girls in the class injuring themselves in the same week, which is not itself so unlikely. Maybe there's some sort of class activity that makes it likely for them to injure their hands. Maybe the teacher is hitting them with a mezuzah. 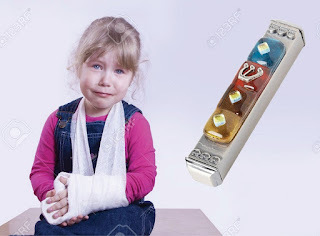 Is positing the combination of an unscrupulous sofer and some coincidental injuries more or less likely than positing that a flaw in the mezuzah led to a metaphysical lack of protection and a resultant injury to some of the childrens' hands? Well, the answer to that depends very much on a person's general worldview. It reminds me somewhat of a book by arch-atheist Richard Dawkins that I read recently, called The Magic of Reality, where he insists that it's ridiculous to posit supernatural explanations for phenomena--because miracles are impossible. People have their starting assumptions, and they evaluate everything else in light of that. The bottom line is that for someone more rationalistically inclined, there is no reason for this story to sway their worldview. But for someone more mystically inclined, the story really does support their worldview. Everyone can feel vindicated! My son (when he was young,in yeshiva elementary school)once had the tip of his finger cut off while trying to kiss the mezuzah. I told him that, that isanother reason why we dont kiss mezuzahs ;). The first question is as follows: HOW did the children break their hands? Running around? Playing on equipment? The second - and possibly the most critical - if we even posited that this was 'true'. What does this say about our faith? That children should be punished for the oversight of others? IS all this not contrary to every Torah principle? Frankly it disgusts me and pushes me further away from 'Torah' Judaism. This is the main point. The belief that children will become injured if a mezuzah in their classroom is faulty is outright minut and all those who believe in it have no share in Torat Moshe and no place in the world to come. If the school is propagating such ideas all parents should withdraw their children immediately. In the unlikely event that all the details of this story are true, then the only permissible supernatural explanation is that G-d is testing your faith. This has nothing to do with being 'rationalist' or not, it has to do with whether you are a Jew or a pagan. Did all of those girls hurt their hands in the classroom? If not, even a meta-physicist would have a hard time explaining the connection. > if such a flaw in the mezuzah did exist, who is halachically responsible - and who deserves Divine recompense? Surely not the little girls? For those who believe in these things, that's not the way it works. Mezuzos are powerful magic. When whole, they protect, but when damaged, they cause harm. Like a door that when installed properly protects your home, but when broken might fall on anyone trying to open in. Responsibility has nothing to do with it. There's no intelligence behind it. It's a mechanistic thing. > Is positing the combination of an unscrupulous sofer and some coincidental injuries more or less likely than positing that a flaw in the mezuzah led to a metaphysical lack of protection and a resultant injury to some of the childrens' hands? Hume pointed out that miracles are by definition a violation of the laws of nature. Given that the probability of the laws of nature holding steady is established by our everyday experience, a natural explanation is always more probable than a metaphysical one. I'm impressed that you read the "opposition's" work. That "magic" explanation is nothing less than idolatry. "Mezuzos are powerful magic. When whole, they protect, but when damaged, they cause harm." A statistical study could be set up. Compare the number of tragedies that occur in homes with mezuzos versus homes without. Refuah shleimah to all the girls! "It would pretty much demolish the entire rationalist enterprise, like how finding the fossil of a rabbit in the Precambrian would demolish evolution." I don't think either of these are true and the rest of the post goes to show that it is not. It is almost always possible to craft a story to explain away an inconvenient fact. And if your prior belief is strong enough, that crafted story will be presumed to be correct. Given all of the classrooms in all of the world over the last 500 years, one of them was bound to have 5 girls break their hands or arms in a span of 10 days. And damage to mezuzot are common (which is why we check them more often). Similarly a pre-cambrian rabbit fossil can easily be the result of some rock displacement that merged with earlier rock. Alternatively, the fossil only appears to be rabbit. It might very well be a heretofore unknown creature or creatures that happen to die in a way that led their imprint in the ground to appear like a rabbit. 5 girls experienced fractures in the same classroom in 10 days? My first suspicion would be abuse. If outside the classroom, what does the Mezuzah have to do with it? Also, classrooms have a Mezuzah only as a Minhag, right? But my first question is whether there were really 5 separate independent accidents resulting in fractures in 10 days. I'd be interested in know to what degree the initial claim is really true. You're being unjust to the sofer. It's more likely that the sofer himself, being probably inclined to the mystico-magical explanation, would interpret any possible flaws in a manner that reflected that explanation. He expected to find a defect, and found a defect that others might not think a defect. There's no reason to think him dishonest. Humidity, low quality ink and parchment, and other eminently physical and rational factors can explain the degradation of the letter over time. It even could be that he checked the word yadecha first, and once finding it passul, there was no need to check any more. There may, however, have been other psulim as well. Also, the sofer or the teacher could be lying or exaggerating that the problem of the mezuzah was missing a yud in order to spookify, mystify, and add drama to the situation. There could have been a different problem or no problem at all. We have no reason to trust the teacher or the sofer since they can be mystically inclined, and since there is no way to assess their integrity. It is probably worth investigating natural causes why the children's bones are breaking especially if it continues. Calcium or other deficiencies ? Toxic substances ? Dangerous playground or environment ? Physical abuse ? etc: etc: And we need not resort to magical thinking to resolve the events. Here's the real danger of magical thinking. Having found the "cause" in the mezuzah, they may feel that there's no need to look for other reasons the girls are getting hurt. What about their mezuzos at home? Anyway, the problem with a theurgical understanding of mezuzah is that it's bad Judaism. It presumes that two people do the same mitzvah exactly as required with no difference in experience can have different outcomes -- for spiritual reasons. Divine Justice??? Anyway, I am not surprised if a peer group fell into a fashion of doing something that is injury prone and/or not consuming enough calcium. Many in Chabad check tefillin and mezuzos every Elul (I personally don't, but I do try to check every 3 years or so). If any problems would result due to the constant checking, they would be obvious next Elul. One thing I heard from a sofer by Rav Landau's office in Bnei Brak was that the rolling of the mezuzah improperly can cause problems. He recommended rolling the mezuzah on a pencil or some other cylindrical object, so as not to crease the parchment needlessly. Proponents of the mystical approach to Mezuzot often point to the apparent phenomenon that when mezuzot are checked after occurrences such as you've described, as well as natural disasters or terrorist attacks etc, they're often found to be faulty, sometimes with the alleged fault corresponding in some way to the nature of the injury etc as in this case. But even if you assume that the faults are real, these findings are very likely to be influenced by selection bias, because of the increased tendency to check mezuzot after these sorts of events. It would be very interesting to investigate whether the rate of occurrence of these sorts of faults is higher after these sorts of incidents than those that randomly occur in mezuzot anyway. I suspect not. When my father-in-law ע"ה was ill with a terminal brain tumor, we took his tefillin and mezuzot for checking. The sofer did find that one of the parshiyot of the Shel Rosh was inserted backwards--it doesn't invalidate the tefillin, but it is less מהודר. In any event, the sofer himself admitted, "Not everything can be attributed to tefillin and mezuzot!" When a mishap occurs, even the biggest Jewish rationalist will say that we must examine our actions, and not to attribute it to chance (Rambam, Hilchos Taaniyos, 1:3). That would also imply examining is whether we really perform the mitzvos properly. Why should examining tefillin and mezuzos be more irrational than investigating whether I transgress or neglect other mitzvos? Because in this specific case the girls were not the ones who were obligated in the mitzva of mezuza - the classroom didn't belong to them, nor to their parents. We would still have the same question in the children's home: you can argue that the children aren't obligated to put up a mezuzah, while their parents are. Why would the children have to suffer for the parents' neglect? Pretty sad comment on the G-d that they believe in. "It would have been easy for the person to find a way of demonstrating a flaw with the word yadecha - perhaps even to scratch it out." A sofer told me a few weeks ago that he was on the phone with an owner of a (charedi) bait yaakov school about another matter, when the owner mentioned a high number of accidents to his students. The sofer says: of course, you don't have mezuzot on your doors. Owner: but you just put them up a month ago? Sofer: you didn't pay me yet. (There was a 60-90 day deal.) They're not yours. In half an hour, a check was hand delivered. "When my niece's teacher took the mezuzah to be checked, she probably told the sofer that she was bringing it because several girls injured their hands. It would have been easy for the person to find a way of demonstrating a flaw with the word yadecha - perhaps even to scratch it out. (And consider that if this teacher went to have the mezuzah checked, then she is clearly of a particular worldview. Such people are often attracted to self-styled "miracle workers" and "holy men" who are less than scrupulously honest.) Or maybe the sofer, or the teacher, saw this as an opportunity to teach a lesson in emunah by fabricating the flaw. Is this a likely scenario?" Also, you have to consider the fact that children get their arms broken all the time and that unusual things happen enough. Also, this kind of "oh my, this seems unusual and therefore mysticism" is said by Muslims, Hindus, Buddhists, Christians, etc. Unusual things happen to all people of all faiths, and each person from each faith ascribes these unusual events to their version of mysticism. Jewish mystical thinking and mysticism is not special or different. Rabbi Slifkin, it's obviously because of GIIIIILLLLGGGGUUUULLLL and WASTING SEEEEED!!!! כי הוה נקיט תפילין - לא יהיב לן, אמר: הואיל ושרונהו רבנן - ננטרן. ננטרן - ישמרוני, אכניסם עמי וישמרוני מן המזיקין. Rashi is saying the Tefillin themselves - in one's hand, not worn in observance of the mitzvah - provide protection. Indeed--and it is even brought in Hilchos Shabbos (Siman 308, Mishneh Berurah 24) that tefillin for this purpose are not muktzeh! Where does Rashi say this? Your conclusion is presumed in how you choose to read the gemara. The Ritva and Shitah Mequbetzes explain that the Rabba bar bar-Chanah is talking about the mitzvah of guarding the tefillin. Rashi could thus well be saying that RBBC was reminiscing about how Rav Yochanan would give his talmidim books of aggadita to guard, but since tefillin require extra protection, they guard their guardian, and therefore R' Yochanan didn't hand them off to his guardian. There is no reason to assume a machloqes between Rashi and the Ritva. Just the perspective you're bringing to your reading. There is every reason to assume that there is a machlokes between Rashi and the Ritva, because according to your reading the issue is not הואיל ושרונהו רבנן but rather הואיל ופקדונון רבנן. Rashi is learning that it is a hetter, not a mitzvah shebaguf. It is only if one explains the word ננטרן as the Ritva does that we have the tremendous chiddush that it is a mitzvah shebaguf which makes it a better option than leaving them outside with the Talmidim. You presume your conclusion by thinking that this is a "tremendous chiddush". A rationalist would say that the claim that Rashi assigns metaphysical power to the physical object of the mezuzah were the tremendous chiddush. So the rationalist would say that an Amora will perform a mitzvah while stating explicitly that it is for the sake of it protecting him? I suspect there is a cause that has nothing to do with a mezuzah. And I think it needs to be investigated immediately. If it were the fault of the teacher or the school - be it neglect, abuse, or something else - the mezuzah could be a convenient distraction. The teacher could have been neglecting the kids, not noticing that they were all doing some dangerous activity and therefore not stopping it, or there could be some broken or misused play equipment on her watch; then only after multiple bones were broken did she "wake up" to the danger. Fearful for loss of her job and ruination of her career, she found a convenient excuse - must be the mezuzah! Whether she believes it or whether she is in denial of her own neglect thereby causing her to believe it, it's still a much-too-convenient excuse. Children sitting at their desks doing schoolwork do not break their hands or arms. In the USA, when doctors see multiple and repeated injuries to children, they have a legal obligation to look into it in order to make sure there is no neglect or abuse by the parent or legal guardian. They are not legally required to check the mezuzahs. It is entirely possible that the teacher knows the cause and is in the process of trying to fix it, while also trying to protect her job/career. It is also possible that the first child whose hand/arm was broken received so much attention, and that some of these kids in general are so attention starved, that they started doing things that were dangerous IN ORDER TO break their hands/arms. Not realizing that it causes tremendous pain, or thinking that the temporary pain is worth all those many days of extra attention, attention-starved children could have caused their own injuries. Sad, but possible. Nowadays frum families have many more children than in years past. Some children are starved for attention what with working and/or overwhelmed mothers, overextended fathers and teachers who are overworked and underpaid. We already know that children act out in order to get just a moment of negative attention. A child could take it to the next step to intentionally break a bone in order to be lavished with abundant attention for days and even weeks. This would not necessarily be the fault of a parent or teacher, but be a reasonable explanation that has nothing to do with a mezuzah. If this were discovered to be the cause the “contagion” can then be addressed properly and stopped by something other than a change of mezuzah klaf. I would remove the teacher for a week and spend time interviewing each child individually (or with a parent present) by both an independent veteran teacher of that age group, as well as by an independent child psychologist in order to investigate the cause of the broken bones to all those little girls in such a small span of time. The children who broke their hands/arms should also be interviewed. My bet would be that a cause would be found that has nothing to do with a mezuzah. 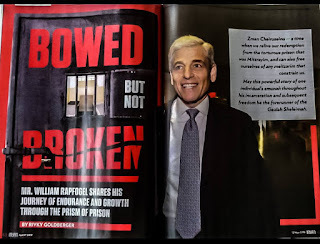 Whatever the cause, if an independent investigation is not done while the teacher is given a temporary leave, I would yank my child out of that classroom faster than a sofer could write "yadechah". 1) The kesef mishna and others understand that the rambam also believes that the mezuzah affords protection. The Kesef Mishneh does not comment on Hil' Mezuzah 5:4 nor 6:13, so I am wondering where he says this. And who are the "others" who understand the Rambam as saying the opposite of his apparent words? The Maaseh Rokeiach on 5:4 says that it is prohibited to put up a mezuzah for reasons of having a protective amulet, rather than for a mitzvah. But even so, he doesn't say this is the Rambam's position, rather that of Rashi, the Tur and the S"A. See also 6:13, where he repeats the idea of mezuzah as protection, and uses it in a appeal to have one's mezuzos checked regularly. 2- The person is also doing the mitzvah of mezuzah when not home. One needs to look carefully at each rishon cites to see whether he is speaking of protection caused by the body of the mezuzah or if he could mean protection as the measure-for-measure reward of having put up a reminder that his efforts won't protect him without Hashem's help. I do not understand the point in #3. Fine, you don't get punished for your mezuzah not being kosher (as a matter of fact) if you kept the mitzvah correctly. (Ie if it is kosher in the eyes of halakhah). But why should you get reward for being lucky? Where is the Divine Justice in how the LR depicts HQBH in handing out the helmets? Last, a real "extreme rationalist" probably couldn't be an O Jew, given our belief in revelation, miracles and such. But any rationalist would ask why you think that the numerous stories about mezuzah are less dismissable as coincidence than the numerous stories by many fine honest members of other religions. By sheer number of adherents, there are many many more such stories claiming power to their notions of deity. In general, the kind of "evidence" you are invoking is not reliable. @Micha Berger - those other religions and people dont count because everybody knows those religions are fake. And besides everybody knows they have goyisha kups, are easily duped and are cheats and frauds. Not so us chosen people with the only true religion that can be "proven" so. And everybody knows Orthodox Jews never lie, commit fraud, are ethical, moral, extremely intelligent, and can not be duped orfooled. 1 i have to check the kesef mishna, don't have it to hand right now, it may be in the bais yosef. R moshe feinstein ztzl understands the rambam that way as well. 2 that's precisely the point. Many (If not most) of the rishonim explain that it is the *mitzvah* of mezuzah that provides shmira, not (just) *the scroll*. Hence if the mitzvah is fulfilled even when he's not home, so it's the shmira. 3 i didn't realize this was about figuring out divine justice. Whatever your opinion about the protection of mezuzah, we very often (including in the case described in the post) don't understand divine justice. "seems less probable mathematically": your qualifications, and basis for making that statement would be...? 1. Looked back at previous comments, and didn’t find a response. 2. Has there been an investigation into the teacher and school? I once asked a lubavitcher sofer who checked my tefilin which word was defective, he answered me that it doesn't matter one word make the whole parashah pesula. How Frum Is Your Food?